The number of status points earned determines membership levels. Caligula Night Club. 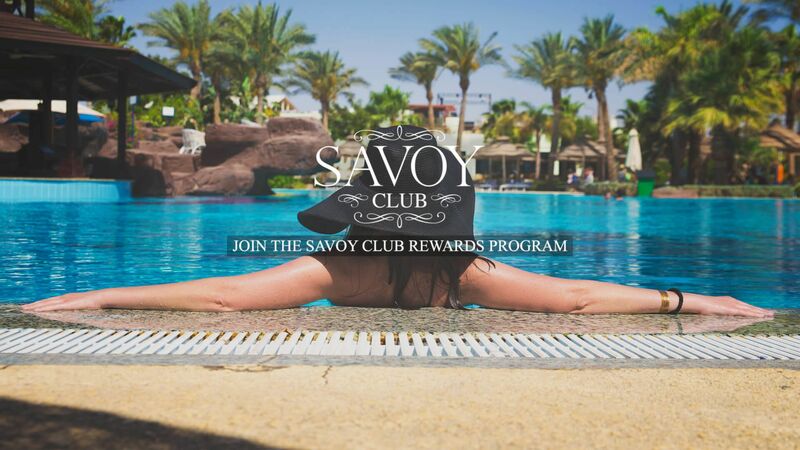 SAVOY Club membership begins at the Blue Card level and upgrades automatically to Gold and Platinum with even more benefits and savings. Unlimited free Internet connection for card holder only. Free Soft Mini bar (once per stay). Member must present his/her Gold or Platinum card at SOHO or Savoy Bars to get the discount. Same day guaranteed reservation will be up to 18:00 hours on of arrival date.